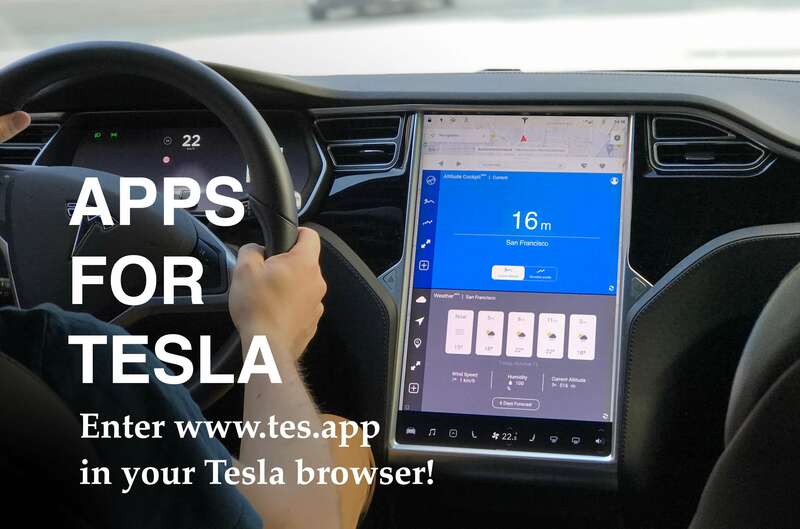 TesApp | Tesla Apps for Model 3 Model S & Model X Tesla App Store Feature Support Wiki Accessory – Tesla Model 3, Model S and Model X Accessories Review, Tesla Wiki how to. We offer several free-to-use applications. If you want access to more applications you can soon choose one of our premium plans. We create state-of-the-art applications optimized for Tesla Displays. Enjoy our apps in your Tesla Model S or Model X. We do not need access to your Tesla login credentials – simply open TesApp and everything will work. Don´t be afraid of your car being controlled by anyone but yourself. Check out our video to get a first impression of TesApp. 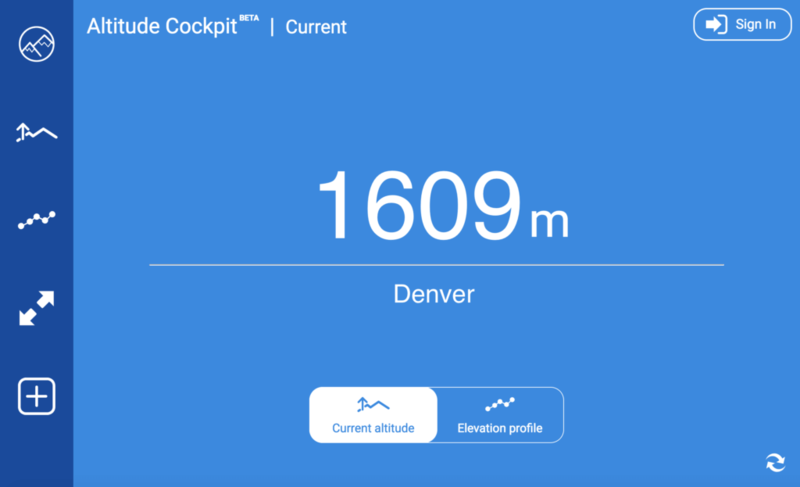 Get your current altitude and record your altitude profile. 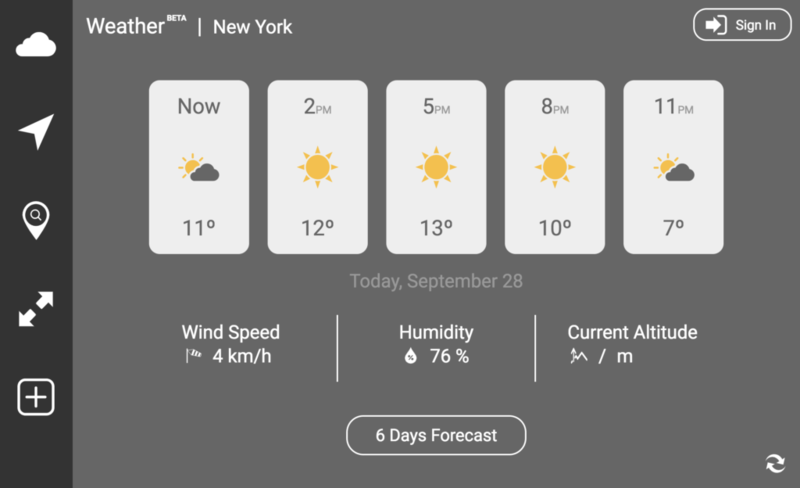 Get accurate weather forecasts for multiple locations and additional weather details like humidity and wind speed. 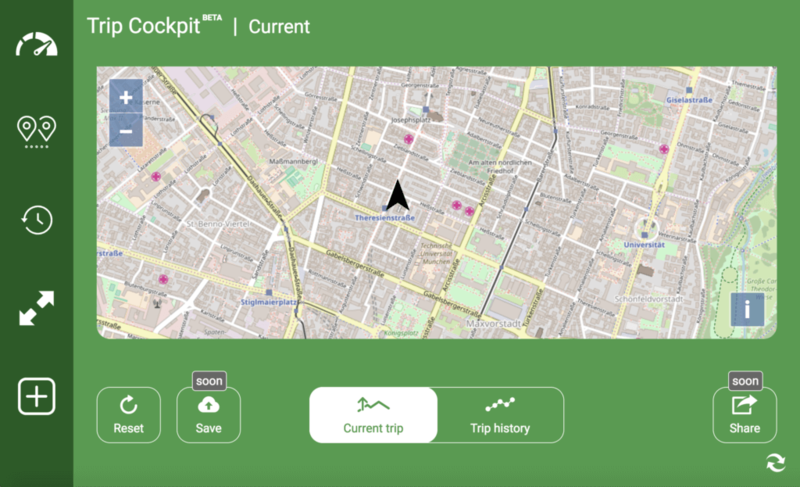 Record your trip and get information about the route, distance, average speed and more. 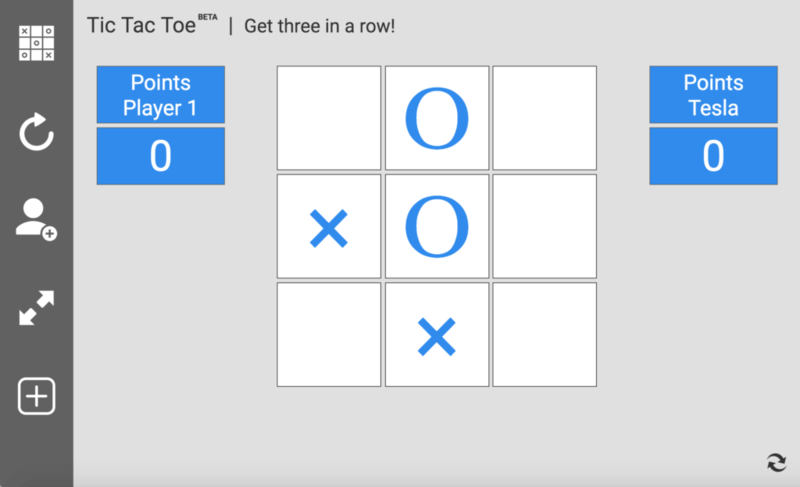 Play Tic Tac Toe against your Tesla or a co-driver. Do I need to install any software on my car? No, there is no installation required. 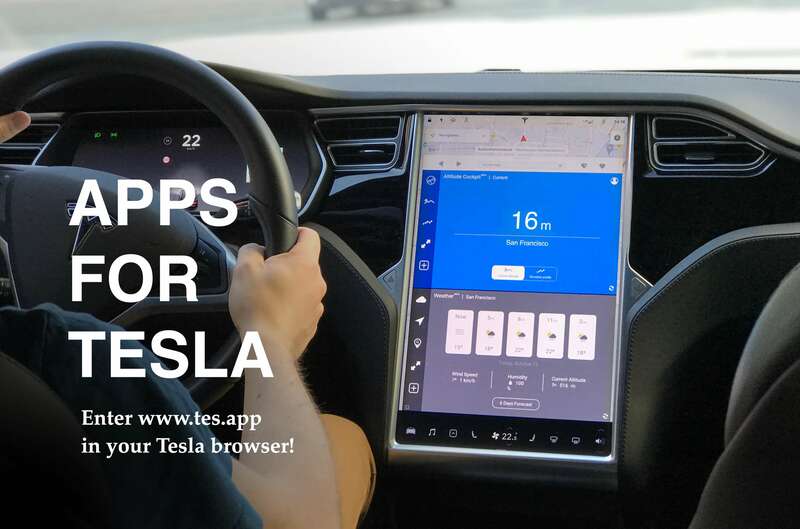 TesApp runs in your Tesla browser. How do I use TesApp? Simply open tes.app in your Tesla browser and get access to your dashboard. Will there be more apps in the future? Yes, more apps are coming soon. Subscribe to our newsletter to get notified about new apps. Currently you can use TesApps for free. Premium plans will be available soon. I am aware that by agreeing to receive newsletters by pressing the „Subscribe“ button below, I will receive newsletters from TesApp (a brand of Three60 Summit UG (limited liability)) via e-mail.